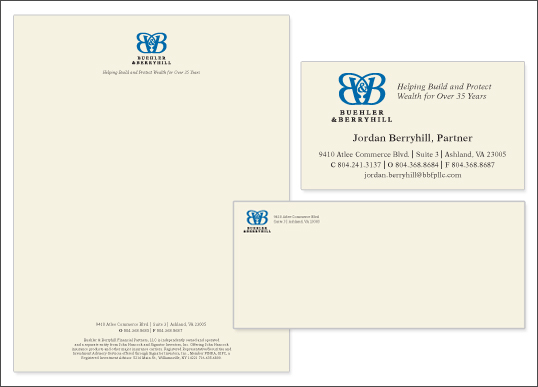 Project Details: We worked with financial advisors Bill Buehler and Jordan Berryhill to develop a logo and stationery set for their company. 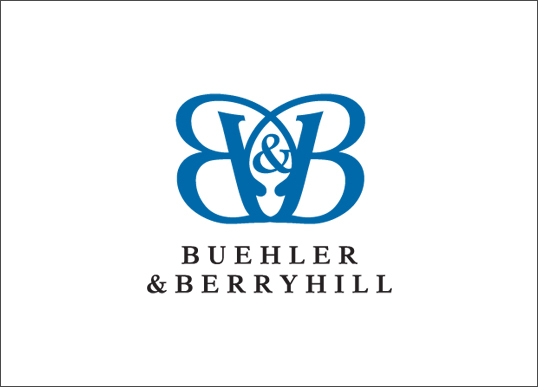 With over 35 years of financial experience we created a branded look that was strong, refined and still personable. We incorporated the two Bs of their last names into their branding in an artistic and bold way. The printing was done on recycled natural white paper with an ultra thick, smooth stock to communicate a luxurious and upscale feel.